Exclusive women's and men's clothing & accessories and homewares, in both classic and contemporary styles. 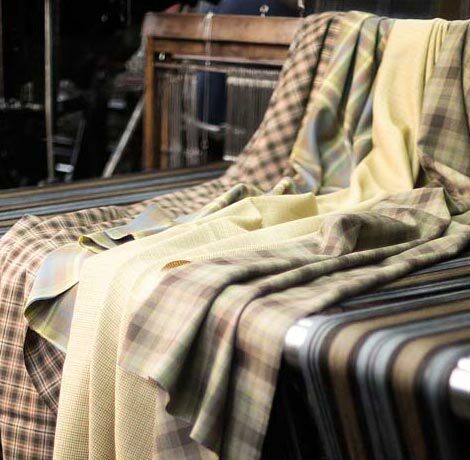 Scotland's last artisan tartan weaving mill. There are few industries left where speed and scale are not celebrated. Bigger, faster, stronger is now the way of the world. But not the whole world. There are a band of champions, few in number, who fiercely protect the values upon which all industry was once built - authenticity, quality and integrity. Champions who create products that are part of a story much richer than anything mass produced. Products afforded the time they deserve. Products with soul. The world's only dedicated hand-crafted tartan mill.